Nate Oats off and running to start frenetic basketball offseason | TideFans.com | By the Fans, For the Fans. Four days ago, Nate Oats wrapped up his fourth season as head coach of Buffalo with a tough loss in the second round of the NCAA tournament. Three days ago he was checking voicemails after landing back in upstate New York and discovered one from Alabama athletic director Greg Byrne. Two days ago Byrne was inside Oats’ home on the Niagara River, sharing a meal with the family and sharing his vision for Crimson Tide basketball. One day ago, Oats was telling his Bulls players goodbye as Byrne broke the news on Twitter. Today Oats was in Tuscaloosa being introduced as the third permanent Bama basketball coach since Mark Gottfried resigned under duress a decade ago. Now things start moving really fast. That does not sound like a man afraid of hurt feelings or interested in compromising his vision of how to build a winning team. If there is significant turnover on the roster, Oats looks ready to fill in the gaps. A three-star center from Nevada, Raymond Hawkins, already has an offer to join Oats in T-Town. Hawkins was widely expected to choose Buffalo over interest from Arkansas, Arizona State and Colorado among other schools. Oats has also had considerable success signing and developing junior college players and the four-year transfer market may yet yield more talent that can smooth out a rough transition. 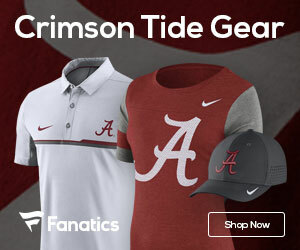 And McDonald’s All-American forward Trendon Watford from Mountain Brook has pointedly kept Alabama in the recruiting mix even as Avery Johnson’s last season went down in flames and the Tide spent the past week without a permanent leader. Likewise, Oats already has a plan in mind for building his new staff. He wants to bring an assistant down from Buffalo, contingent on who that school hires to fill his old job, but also add in coaches with ties to the South, if not the state itself. He will also need to replace departed strength and conditioning coach Lou Dineen. So what kind of coach has Byrne entrusted to rebuild on the fly and bring it back to national relevance? Oats, 44, is a Wisconsin native who has gained a lot of respect among fellow coaches despite just six years of major college experience, all of it with the Bulls. He first came to prominence coaching Romulus (Mich.) High outside Detroit, winning well over 200 games and a state title while producing 18 Division I prospects over 11 seasons. When Bobby Hurley got his first head coaching job at Buffalo he hired Oats for his staff. Hurley left after two seasons for Arizona State following the school’s first NCAA trip and Oats was promoted. He found himself having to rebuild after losing his two best players to suspension and transfer respectively, but rallied to finish third in the Mid-American Conference and win the conference tournament. After treading water in 2017 with a 17-15 record, Oats led the Bulls to 27 and 32 wins the last two seasons, the best in UB history. Buffalo swept the MAC regular season and tournament both years and won a game in the NCAA tournament each year, including defeating Hurley’s Sun Devils six days ago. The backbone of those teams were players Oats recruited, which should alleviate some worries about a mid-major coach living off someone else’s efforts. The Bulls ranked among the top 40 teams in tempo each of Oats’ four seasons, including 12th this year and 16th the season before. Buffalo isn’t a full-court press team but relies on heavy ball pressure to generate steals and easy transition baskets. Oats places a premium on solid passes that have a purpose, and doesn’t look to have the ball stick with a player while the clock melts down. To be sure this is not a risk-free hire. SEC basketball is more competitive than ever and Oats figures to be possibly the least-experienced coach in the league. He has to prove that his recruiting prowess in the MAC translates to a top-level conference and a new region of the country. And while his tell-it-like-it-is style is bound to be a hit with a fan base burnt out on marketing slogans and inconsistent efforts, he will need to get at least a core group of players still dealing with shock and intense emotions after losing their coach to buy in to his approach. Still, Oats figured to be in demand this offseason even after signing an extension with Buffalo earlier this month. And Byrne handled his first basketball coaching search with speed, efficiency and an absolute minimum of drama and disruption. It will be years down the road before the final grade is in, but based on what we know on Oats’ first day there is reason for hope again at Coleman Coliseum. Comment now using your Facebook login!